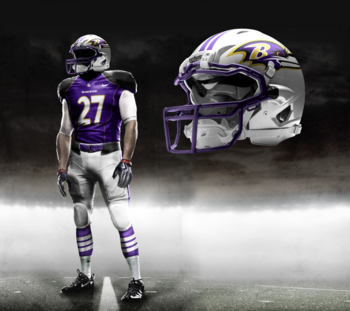 The first pair includes the Arizona Cardinals and the Baltimore Ravens. This is a pairing of alternating flares. 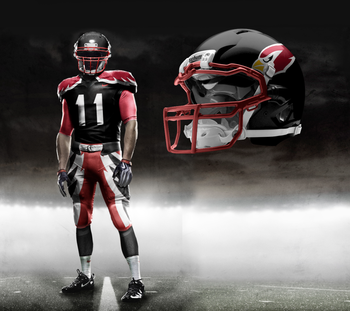 The Cardinals center the uniform with the black but then strike lightning into the pants and shoulders to make this a confusing concept. The Ravens have always had a much darker sort of image but have reversed into a shiny silver the offset the black and purple. These two uniforms are absolute fails. Where the Buffalo Bills go ultra-bright, the Carolina Panthers are trying to hide in the darkness. I know the Bills need help, but Nike seems to be trying to blind their opponents. Maybe they got some hints from the Maryland Terrapin Under Armour uniforms from last year. For the Panthers, the jungle cat seems like it is hiding in the helmet and the lack of blue almost makes it tougher to know what team you are watching. And what is up with the font for the numbers? 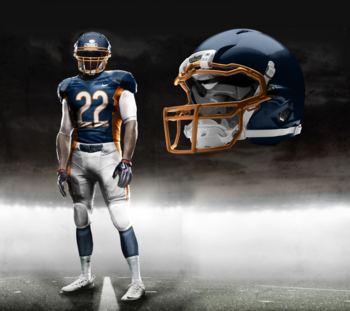 I have to admit that the Chicago Bears uniform is not that bad. 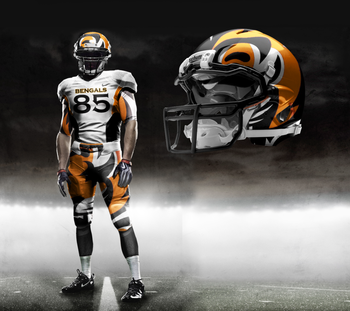 I am missing the “C” on the helmet, but the colors are not nearly as funky as most of the other teams. The Cincinnati Bengals are a completely different story. This is a uniform that must have been put up on the idea board and accidentally fell into the approved pile. The pants and the sides of the jersey are absolutely tacky. Above the waist, the Dallas Cowboys are fine. The Dallas Star is still pronounced on the side of the helmet. The bottom half is just awful. Did someone spill oil on the concept art and accidentally let it go into production? Those pants are just confusing. For the Broncos, the color scheme seems like it did not change much but the helmet took a return to the classic image of the horse, rather than the horse head. Not a bad switch back. Neither of these jerseys have much of a change other than the pronouncement of their colors. 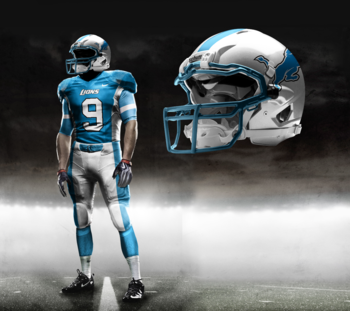 The lighter shade of the Detroit Lions blue feels a little like a college or high school football uniform, instead of a professional one. 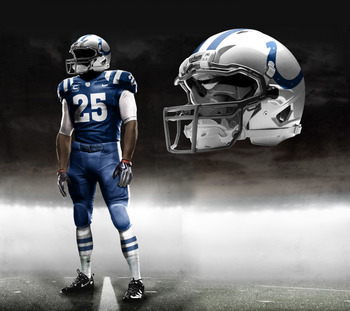 The Indianapolis Colts it fairly unchanged but looks sleeker than any other jersey in the group. Here is a paring of epic fails. 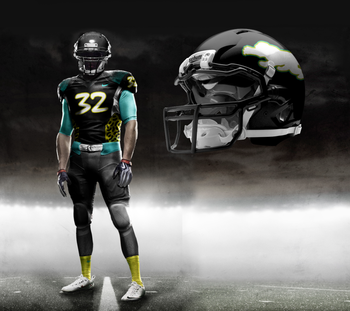 The Jacksonville Jaguars look like they are trying to represent a CFL or XFL uniform style. No uniform should ever include leopard, or jaguar, print, even when it is the mascot for the team. The Chiefs get an upgrade with the helmet (though it looks like a potential Redskins design), but the shoulder pads are just too much and look like they are either suppose to be the USC Trojans or Florida State Seminoles. This pair of New York teams take two different directions. While the New York Giants look like they took a wrong turn to make their uniforms new and exciting, the New York Jets took a much sleeker route. 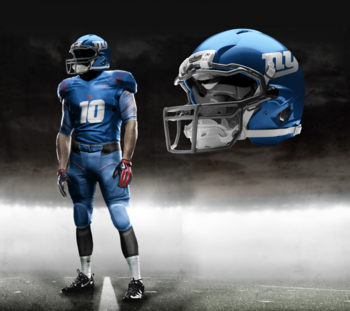 The Giants warped the “NY” on the side and the numbers on the jersey to make them look like kids uniforms. 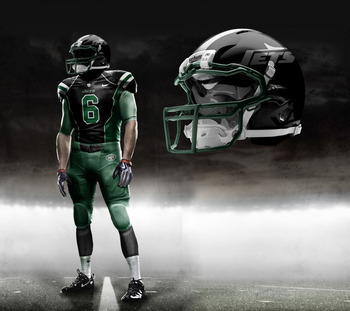 The Jets, on the other hand, mixed a combination of jet black and classic green to make their uniforms take on a new flair. For the most part, the New Orleans Saints did not change much about their design, except for those awful shoulders. The accent takes away for the overall look already solid design of the previous uniform. The Pittsburgh Steelers have a whole host of problems with this design. The helmet is the one positive accent with the steel pattern merged into the Steelers’s yellow. The one takeaway with the helmet was the classic Steelers logo. There is nothing you can say about the armband, but why did they use Playskool numbers on the jersey? Another child’s uniform on display. 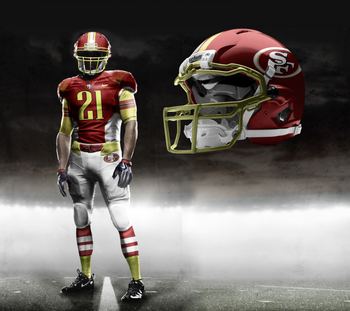 Other than the number and the shade of gold with the belt and socks, the San Francisco 49ers may have something going with this uniform. The helmet is one of the best in terms of the color contrast but the accent color gold keeps this from being a success. 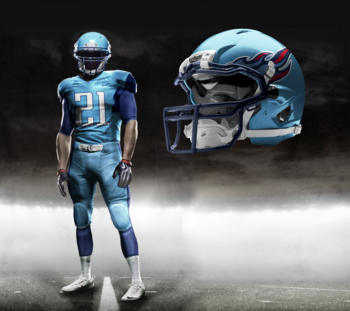 The Tennessee Titans apparently have taken the “It’s a boy” concept with their overuse of the baby blue. The flame on the helmet is a nice accent but where is the rest of the color contrast?